Molly competed in a day-long horse show May 2014. 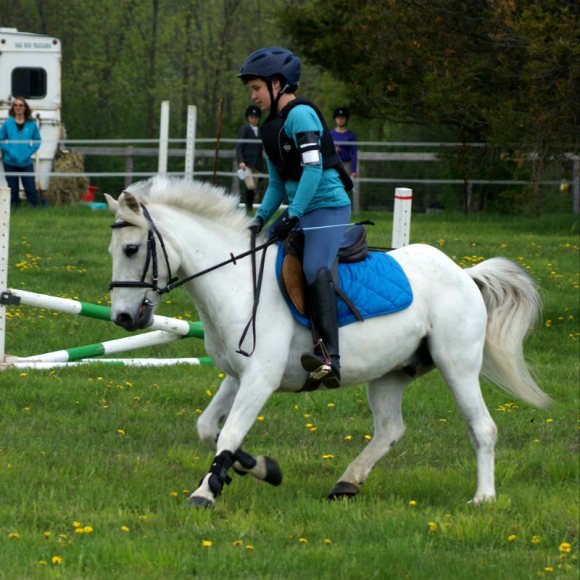 She competed in a walk trot event and cross-country, coming in second in both and placing second overall in her class. 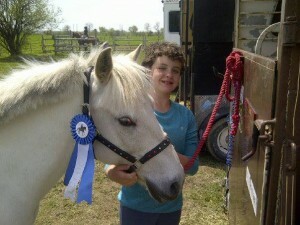 It was a It was a great day for a hard working little girl and her pony Clifford (show name: Devil in Disguise). 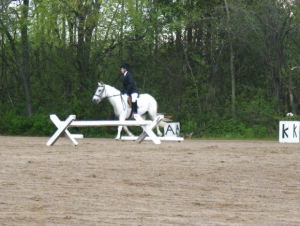 Clifford refused a jump and I fell off. It was hot and I got sunburned. I have been practicing since late February. Grooming him took a long time. A friend came over to help prepare for the show. 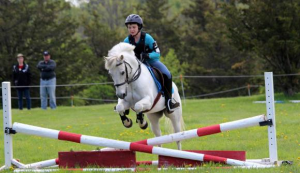 The World’s Leading Online Video Training Site for Equestrians. Information about pony club for existing and potential new members and their parents.